If you’re wondering why you should choose non-toxic plates for kids or how to choose them, you’re in the right place. Feeding my family well has always been a priority for me. I cook with fresh ingredients, organic if possible, and I make it a point for my kids and us to have healthy and varied meals on our table. It never crossed my mind that the tableware I serve the food on can work against my efforts of keeping chemicals out of my kitchen. 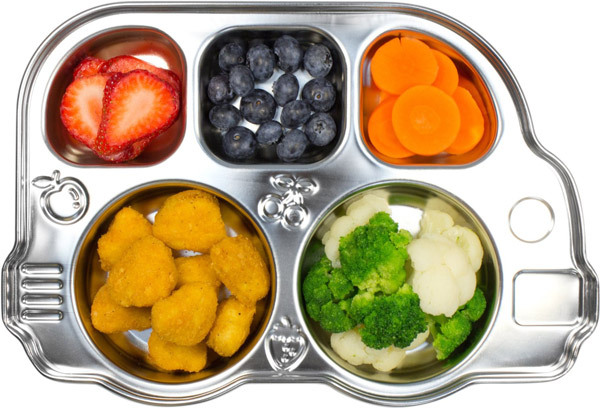 Once the boys started on solids, I looked for the cutest, most colorful plates for kids. I loved them because they were unbreakable and would survive any possible throwing on the floor with no crack or scratch. They were all made out of plastic. It took me a good couple of years to realize that buying those tableware wasn’t the best decision I’ve ever made and they are all gone now. Why? Because plastic plates may contain melamine, BPA and PVC – all toxic chemicals. Melamine is a chemical component used in the production of certain plastic tableware and it can leach into our food. We know not to microwave food in plastic containers but the melamine can still migrate when plastic tableware is used to serve hot food ( see JAMA International Medicine study ) or acid food and drinks (like orange juice). It is important to know that high levels of this chemical can lead to kidney failure, especially in young kids. Although we may never be exposed to high levels of melamine if tableware is used correctly, a low level will still enter our bodies when using this type of plastic plates. BPA is a chemical used to make certain plastics. Same melamine advice goes to BPA products : don’t microwave or put them in the dishwasher. BPA exposure can lead to brain, behavior and prostate gland issues in infants and kids. BPA can not only be found in plastic tableware but also water bottles and lining of canned foods and drinks, and many others. Surprisingly BPA-free products aren’t as healthy as you may expect because BPA has been replaced by two other chemicals that, according to a recent study are as harmful as BPA. PVC , also known as vinyl, is the most toxic plastic and the least recyclable of all common plastics. Referred to as the “poison plastic”, PVC has been linked to health problems such as cancer and birth defects. Additives (e.g. 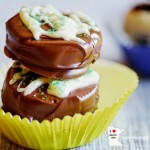 phthalates, lead) used in the manufacturing process of the PVC plastics can migrate easily into our food. Here is a list of common products that are made of PVC. You will be surprised to see how many toxic things we touch and use on a daily basis! Even if we could work our way around some of them, others are just impossible to leave out of our life. For staying on the safe side when using plastic plates, don’t place them in the microwave or the dishwasher, don’t use them with hot foods and don’t eat from plates with the recycling numbers 3, 6 and 7. These numbers show dangerous chemicals have been used for manufacturing the plates. Even if not used for serving hot or acid foods, plastic plates will still leach chemicals into our meals. Though the amount is considered safe by FDA , at least for now, I for one am not willing to take this risk anymore. If you also want to completely avoid plastic plates, here are some safer alternatives: ceramic, glass, stainless steel, natural wood and silicone. 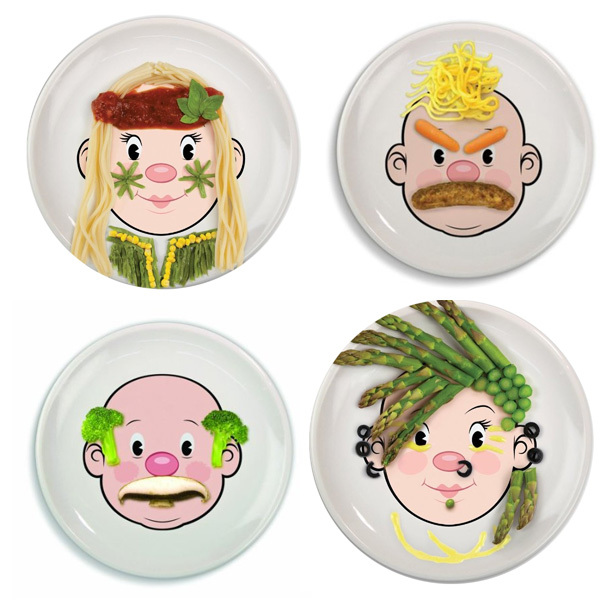 The Food Face plates created by Fred & Friends have a boy or girl face that will inspire kids to interact with their food and make different food designs on the face. 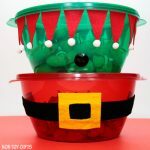 Just give the kids some fruits or veggies and see what they can come up with. The possibilities are endless. 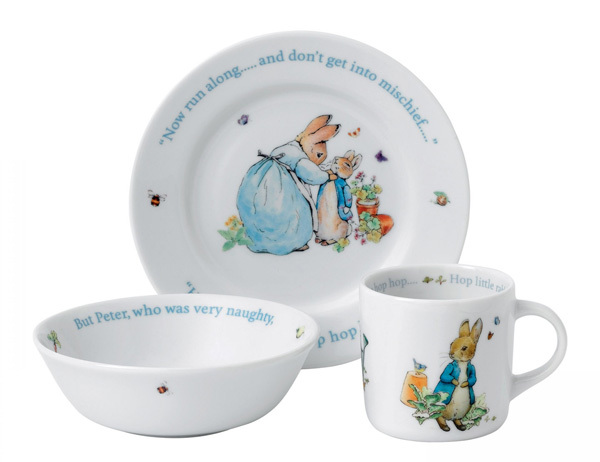 Wedgwood has an adorable Peter Rabbit collection that includes a 3-piece set : mug, plate and bowl in blue, for boys or pink, for girls. 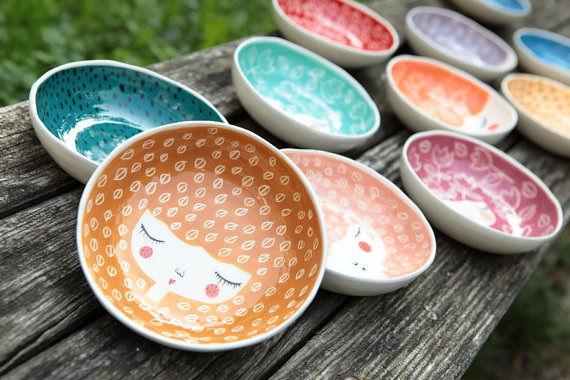 These adorable ceramic bowls are handmade by Marina Marinski, a very talented pottery and jewelry designer from Croatia. 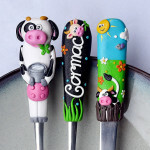 They are made to order and you can choose the color and design of your liking. 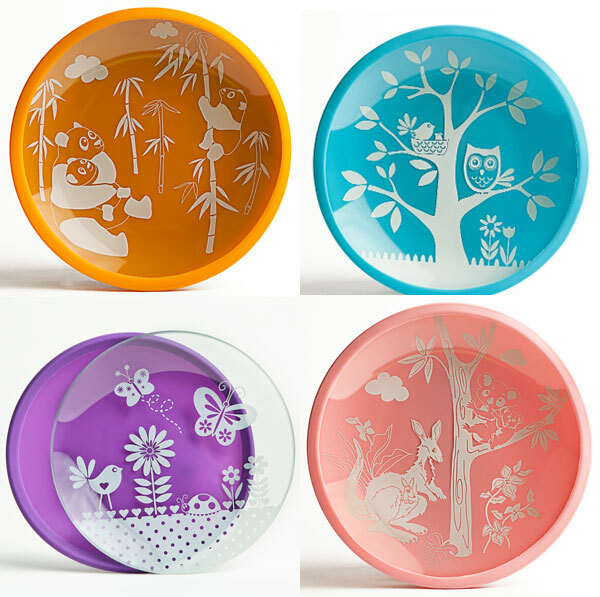 Brinware plates are made from tempered glass. 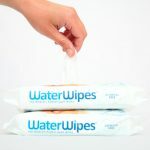 For extra durability they come with a silicone cover that is not only slip resistant but also highlights the beautiful white designs on the plates. Several designs are available. 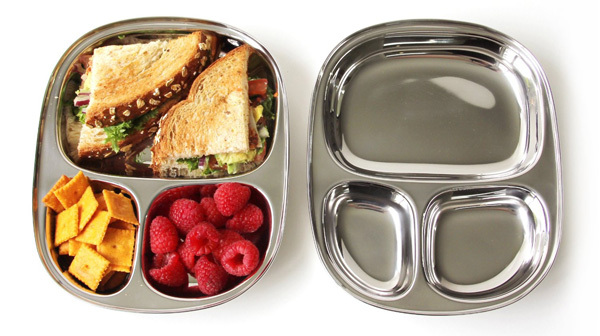 This bus divided plate is made with the highest quality food grade stainless steel. 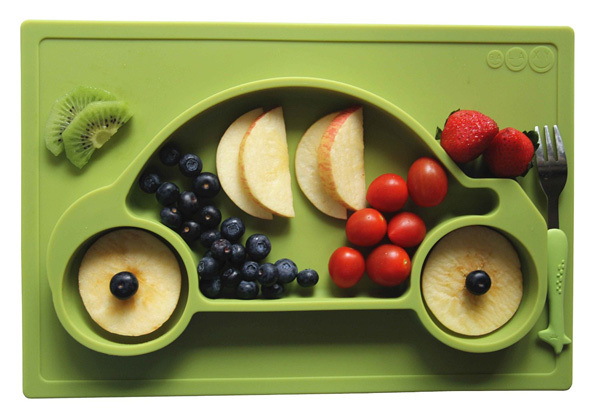 If you want to use the plate on the go you can chose the one with a lid. Here is a 3-section plate that will hold one main and two side dishes. Stainless steel plates won’t retain stains, odors or residues. They are dishwasher safe buy can’t be used in the microwave. Avanchy makes plates, bowls and spoons by combining bamboo with silicone. 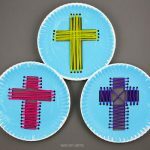 When choosing wooden plates, please keep in mind that they are not dishwasher and microwave safe. 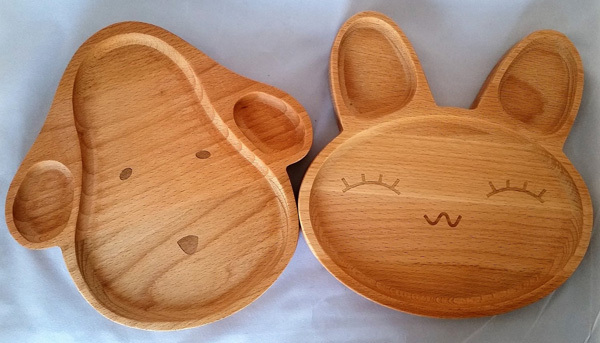 Here is another natural wood option: bunny, elephant or dog plates made in Japan. Silicone is a natural material made of sand, rock and oxygen. While silicone is a great plastic alternative you should also know that not all silicone is the same. Silicone products can be very expensive and in order to reduce the price, some manufacturers may use fillers. The easy way to check for fillers is to twist the silicone product. If white shows through, fillers have been added. Pure silicone doesn’t change color when twisted or pinched. 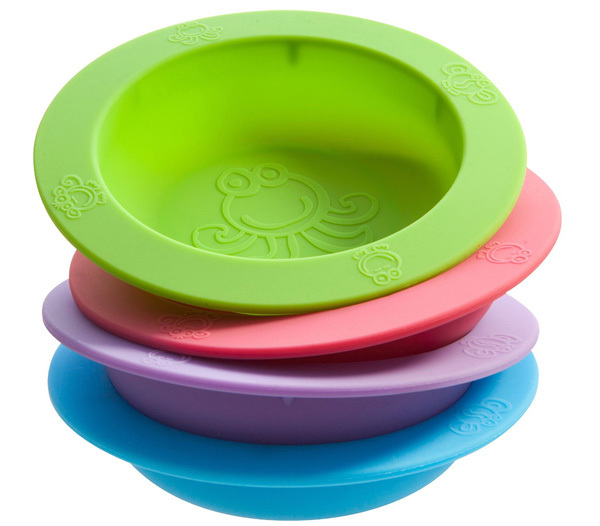 The silicone plates and bowls created by Oogaa are made from 100% high-grade European approved silicone, which adheres to higher than FDA standards. 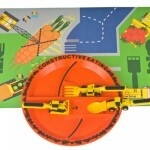 This silicone placemat and tray works very well for young kids. Like all silicone plates, it can be easily wiped clean, it’s safe for dishwasher, microwave, oven as well as freezer and is germ-free as silicone will not support the growth of fungus, mold or bacteria. 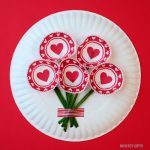 As you can see there are many ways you can avoid plastic plates in your kitchen and still provide a fun dinner time experience for your kids, and most importantly a healthy one. I’ve presented you with 5 alternatives and 10 different products. These are my favorites but I’ll continue searching and adding more to the list. 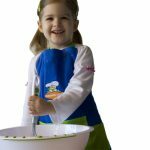 Do you use eco-friendly tableware for your kids? Hi there, thanks for the recommendations…like you I believed buying everything bpa free was right but this extra info is a helpful steer. I wondered why bamboo fibre feeding ware isn’t included in your research? Do you know if this is an equally safe alternative?